July has been a very exciting month! 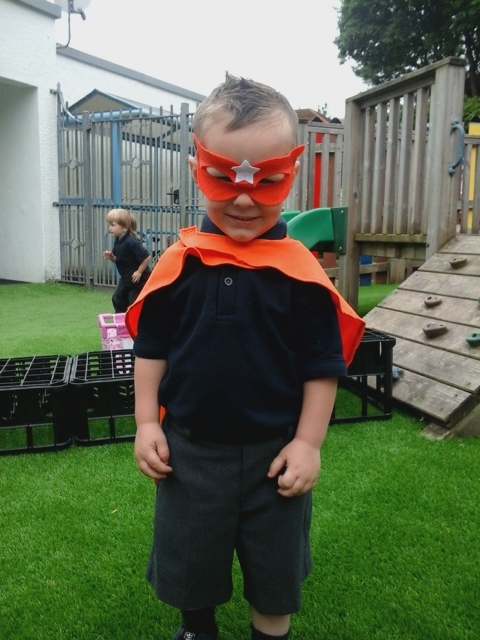 We had lots of fun during Healthy week. We learnt how to brush our teeth properly, and we got to make fruit faces with lots of delicious fruit. We went to Forest School on Friday, where we got to climb trees, make dens and go on a bug hunt. We had lots of fun on Sports day, thank you to everyone that came and cheered us on! These last couple of weeks we have had some special guests arrive... chicks! We have enjoyed giving them lots of cuddles. We hope you have a lovely summer and we shall see you back in September. During May we have been discovering about how our bodies change during physical activity. We learned how to use a remote control to direct our cars. We had fun in our ‘Space role play’ and we made a rocket for the display. 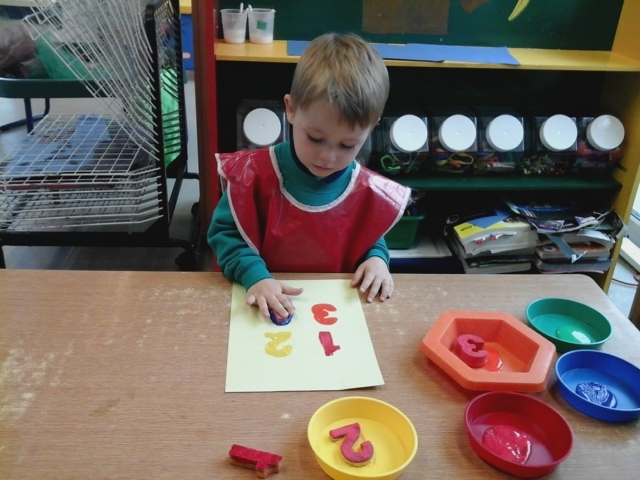 We linked our learning with shapes and used large shapes to form an object, such as a rocket or house. 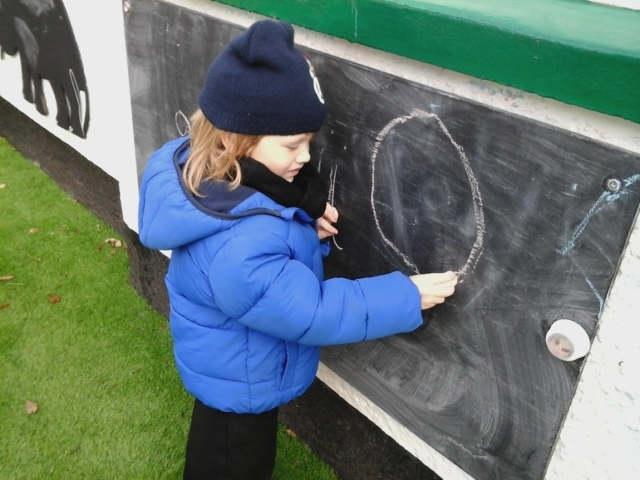 We had an outdoor learning day where we read a story outside and had some delicious hot chocolate. 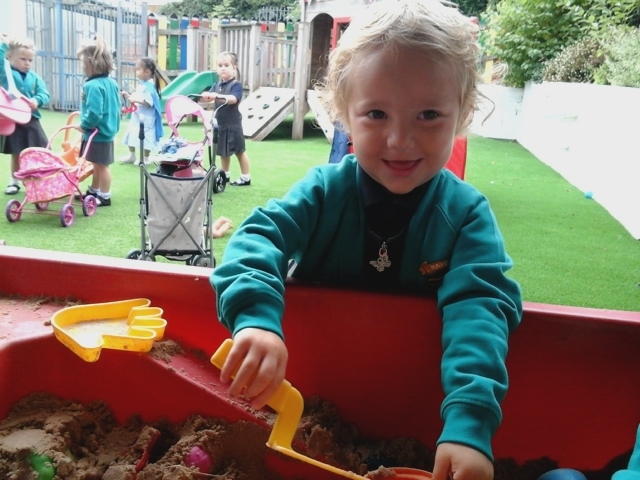 A big welcome to our new nursery children, who have settled in well and have been making new friends. Thank you to the parents who have supported the children in making fantastic creatures for Our ‘Beside the Sea’ Parent Partnership display. 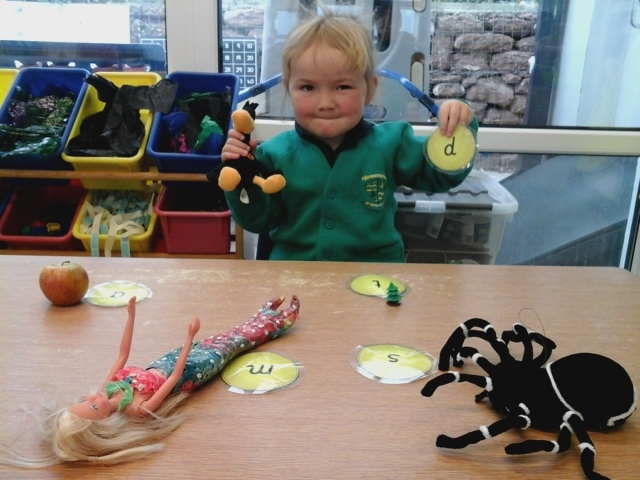 This is linked with our fun ‘Under the Sea’ Role Play, where the children have been swimming in the sea and dressing for the beach. The children have being enjoying going out into the garden and understanding growth and what plants need to help them grow. March began with a visit from some donkeys which we could stroke, they were soft and fluffy! We had lots of fun using the tube telephone to follow instructions. We planted sunflower seeds in pots with soil and watered them to help them grow. Some tadpoles have come to stay and we can see that they are already beginning to grow legs! For Culture week we learned about other countries around the world: we made Pizzas for Italy, did a Fan dance for Vietnam, dressed up in Chinese clothes and made Asian elephant from hand prints and decorated them. We have made daffodils, special person and Easter Cards. In Nursery this month Mrs Strong came to visit with baby Daniel, he was so small and cute! We had lots of fun moving over the obstacle course in variety of different ways, including crawling, climbing and sliding. 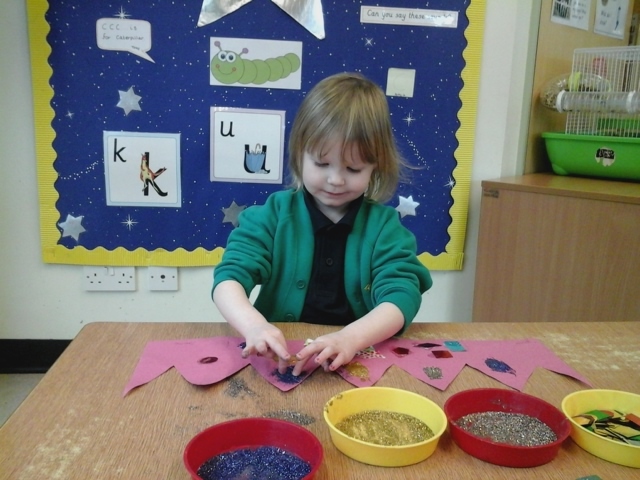 We also made Valentines hearts out of clay and decorated them with paint and glitter. On Pancake Day, we celebrated by eating pancakes and choosing our own different fillings of lemon juice and sugar, syrup or chocolate spread, yum yum! A warm welcome to our new children who have been making new friends. Thank you to the parents who have supported the children in creating animals from Paignton Zoo for our Parent Partnership display. 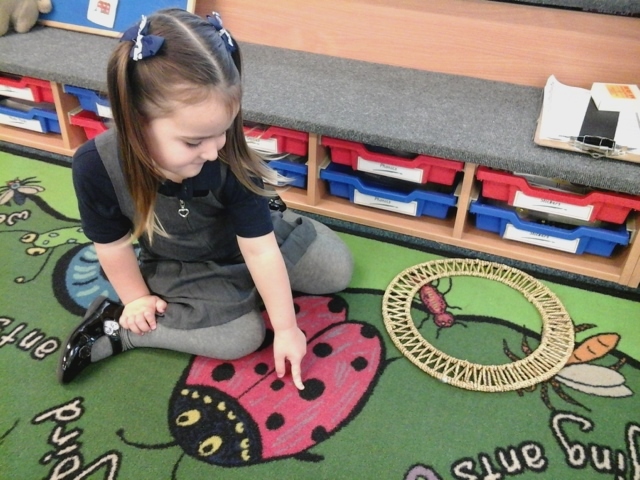 The children have being enjoying reading books independently and explaining why they like the book. 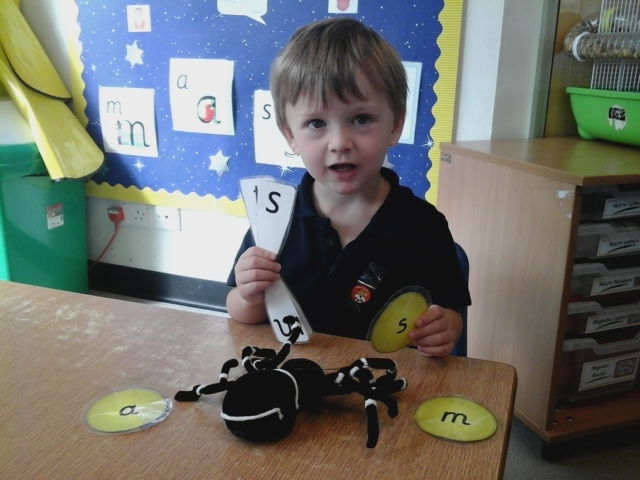 They had lots of fun learning about matching the correct number to the number of items. 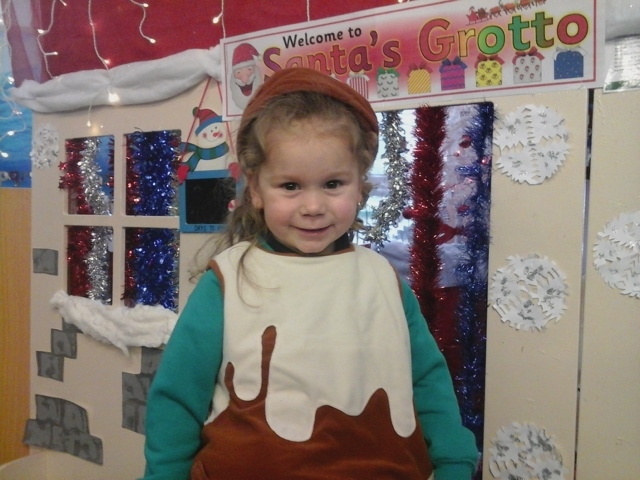 The children have enjoyed playing in the role play area in a magical forest and dressing up as fairies and other creatures. 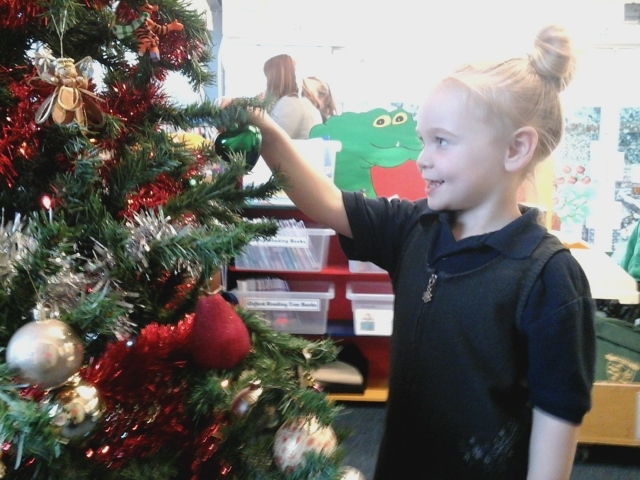 We have been getting very excited about Christmas this month in Nursery! 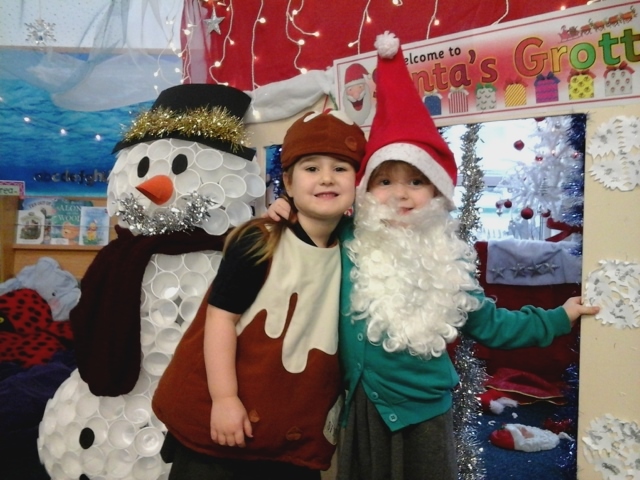 We have been decorating our class Christmas tree and having lots of fun in our Santa’s Grotto, dressing up as snowmen and Christmas puddings! 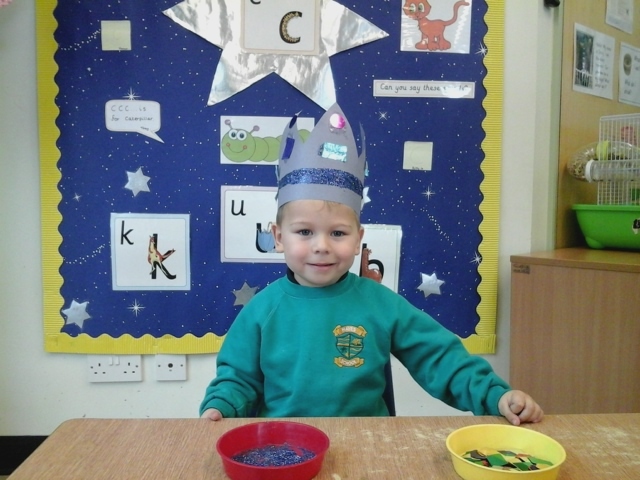 We have also been decorating our party hats, ready for our Christmas party on Wednesday. Merry Christmas everyone! 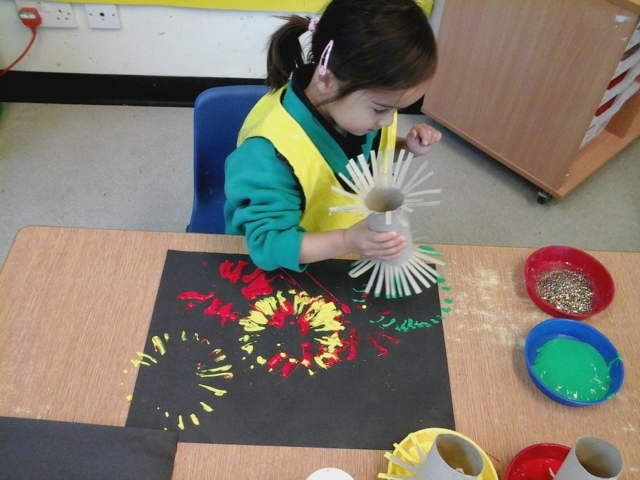 In Nursery this month the children made a large firework display using tea bags, paint and glitter. It was lots of fun! 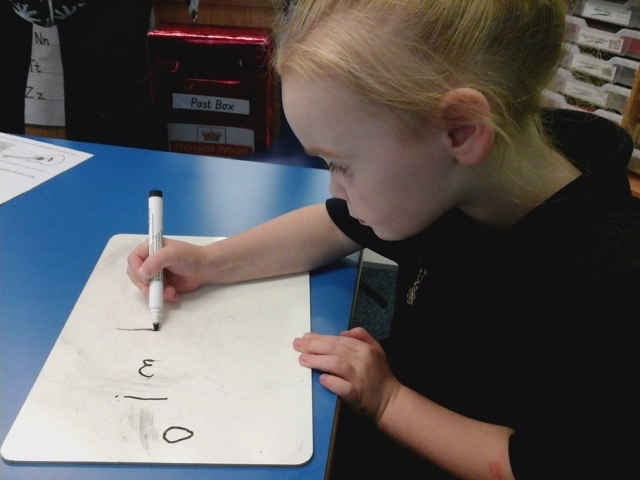 The children have been busy learning how to form letters correctly using the whiteboards and chalks in the playground. 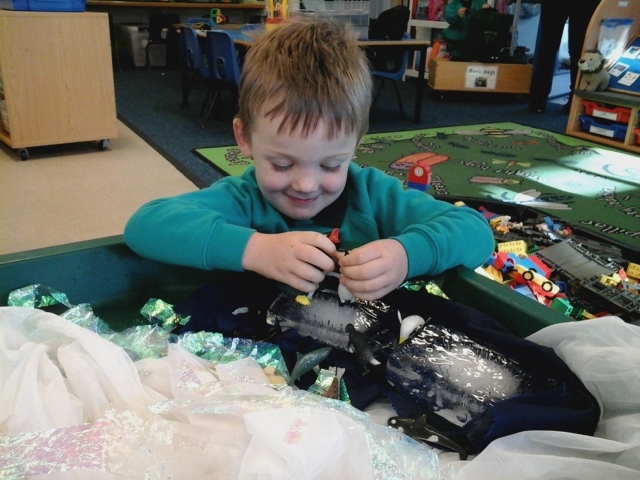 We have also been making different size icebergs for the penguins and guessed the smallest iceberg would melt first. 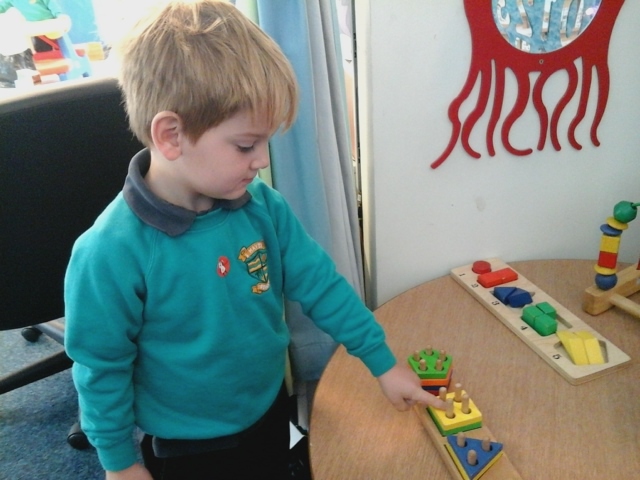 The children have had lots of fun learning about shapes. 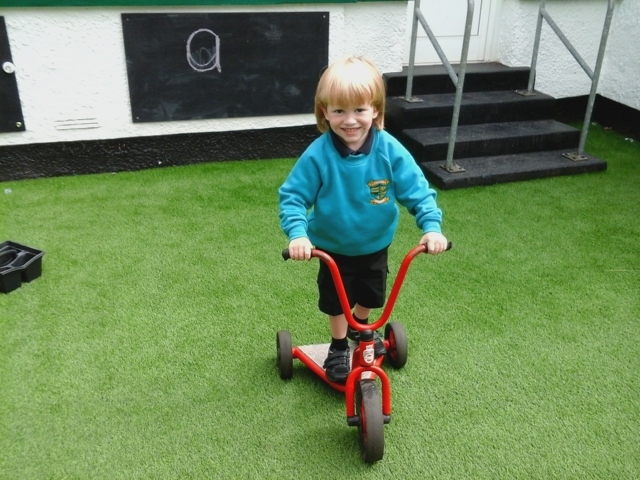 We went on a 'Shape Walk' around the classroom. 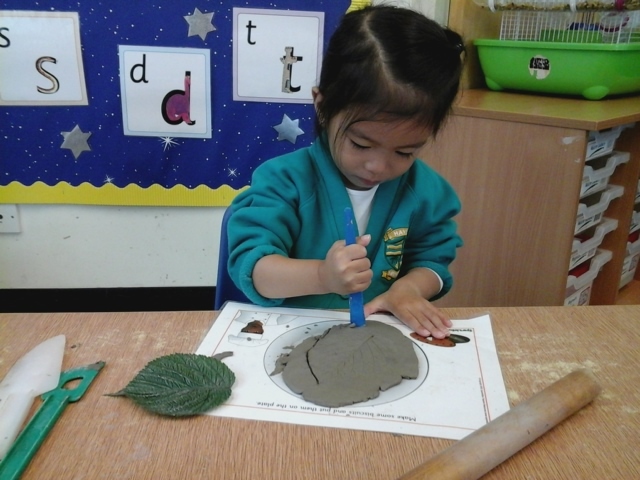 We have also been collecting leaves and made leaf prints using clay. 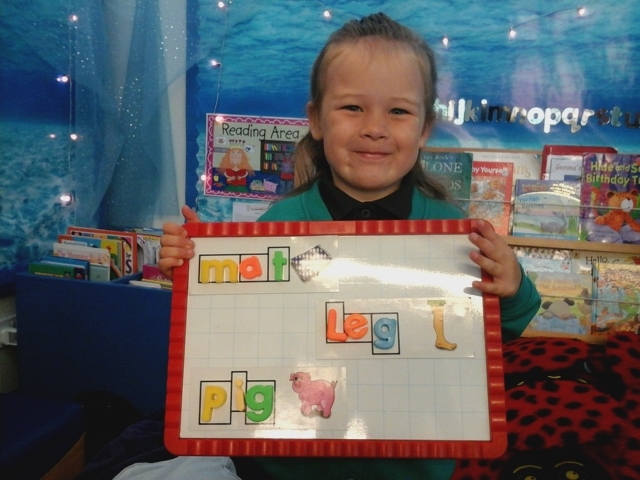 We are learning our letter sounds and beginning to read words. 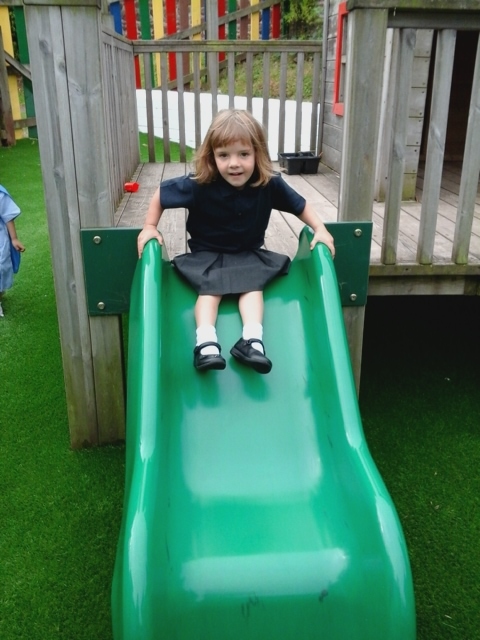 The new children have all settled well in to Nursery and have made lots of new friends. 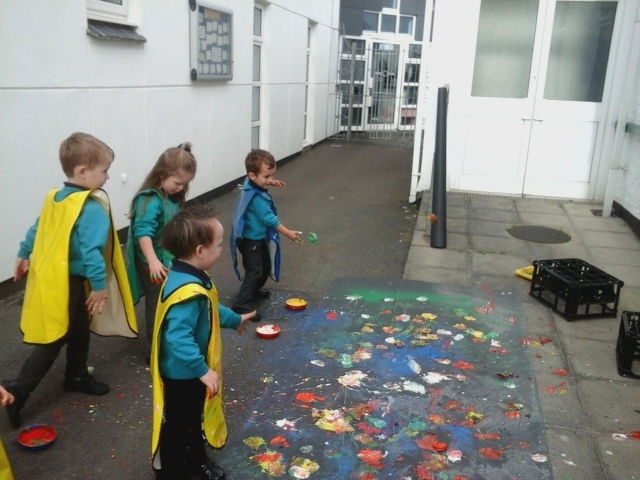 We have enjoyed playing both inside and outside and learning new games.